I qualified and trained as an Ophthalmologist in the UK and my past work experience was in that field. When I immigrated to Canada, I qualified as an Optometrist to gain quicker access to work in a closely related field. 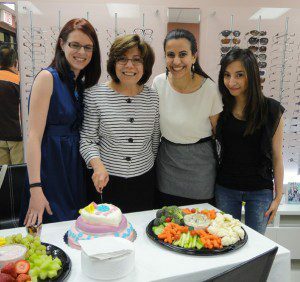 I have now been working as an Optometrist in Canada for 5 years, first as an associate for a couple of years and then in February 2012, I opened my own practice from scratch. I had no experience in business management in Canada and minimal dispensing experience.The first year of business was rough even though I had some business consulting. My stress level was enormous, I was working 6 days a week, more than 10 hours a day, couldn’t pay my bills most of the time and I hated every minute of it. 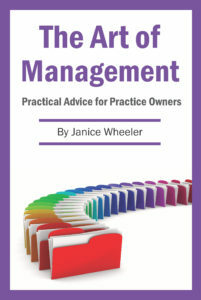 In January 2013, I spoke to Janice Wheeler of AMI on Skype and did a free practice assessment. She helped me see a light at the end of the tunnel and that there was hope of making the business successful. I knew I had the clinical skills to treat any patient, but there was much more to running the practice than I had realized. Since then, I was walked through the valuable AMI courses and had their one-on-one consulting. We discussed everything from hiring staff, to staff replacement, to my work schedule, to planning my clinic’s future, and much more. Now my clinic is a profitable practice, I am working fewer hours and more efficiently. I feel I now know every little thing in my practice (almost) and can monitor my stats efficiently, all thanks to the gorgeous AMI people who helped me through this.